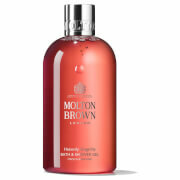 Molton Brown's Fiery Pink Bath and Shower Gel refreshes and subtly fragrances from top to toe. Blending notes of fiery Pink Pepper, Tangerine and Elemi Oil with Ginger, the antioxidant-rich shower gel forms a luxurious lather on the skin to defend against free radical damage, whilst enveloping the body in a spicy, stimulating aroma. 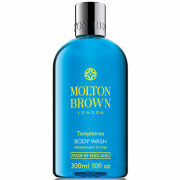 Invigorates the senses and leaves skin feeling soft, supple and revitalised. 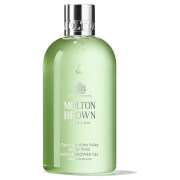 Top Notes: Pink Pepper, Tangerine, Elemi Oil. Heart Notes: Nutmeg, Ginger Oil. Base Notes: Patchouli, Cedarwood Oil.